Celebration of International women’s day ; Women in black. 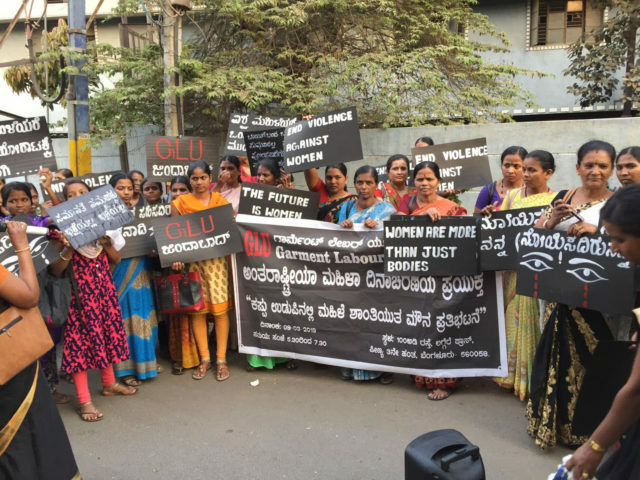 The Garment Labour Union (GLU), organized a rally ‘Women in Black’ to commemorate International Women’s Day. The rally saw 400 women garment workers marching, holding lighted candles. 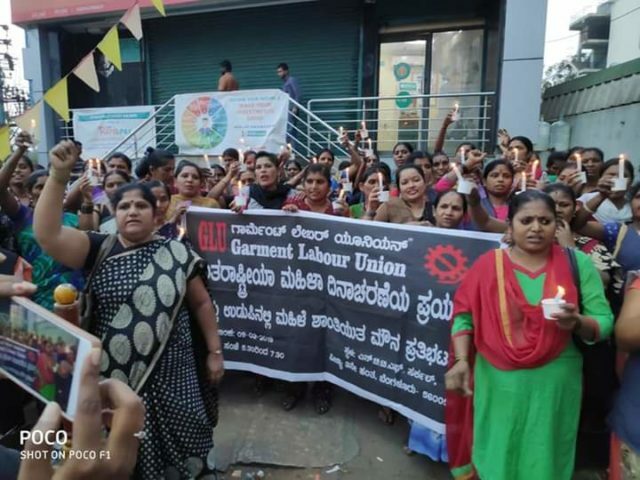 They wanted to draw the attention of garment industry bosses and other stakeholders to gross negligence in the implementation of the ‘Sexual Harassment of Women at Workplace (Prevention, Prohibition and Redressal) Act, 2013.’ This protest was also an action to create awareness among the general public regarding workplace harassment and gender-based violence against women.